Just like the last couple seasons we will update you on arena and franchise changes so that you can optimize your travels and keep informed on new arena options. On this report we will cover the Junior A leagues in Eastern Canada. As always, we hope you will find this information useful for planning your hockey road trips. Northwestern New Brunswick sees the newest team in the Maritime Hockey League, as the Grand Falls Rapids will play in this town along the Maine border. The relocated squad from Woodstock will play in this nearly 10 year old venue. The Woodstock Slammers were a successful franchise, making it to the RBC Cup a few seasons back. With the Slammers relocating further north to Grand Falls this arena will not have a major junior tenant. The MHL Showcase will take place at Pictou Wellness Centre, home of the Weeks Crushers. In addition to games at the Crushers home of Sobey's Arena games will take place on the smaller arena in the complex, known as Bell Alliant Arena on October 8th and 9th. This season the Maritime League will have 12 teams, the same number as last season, and will continue on as an often overlooked, but solid, Junior A league for folks on the east coast. The Quebec Junior A circuit will head further east than it has in recent memory, as Montmagny will get a team, known as the Everest Cote-du-Sud. Arena Montmagny looks like another older, character filled Quebec barn that should be a great place to see a game. In what is turning into somewhat of a vagabond saga the team known as the Revolution will play in Pierrefonds after being known as the Saint-Lazare Revolution for a single season after a long history as the Vaudreuil Mustangs. Here's hoping the team can find some stability in Pierrefonds. The team's new name will be the Lac St-Louis Revolution. As mentioned above the single season in Saint-Lazare did not work out as planned and the team hopes for a better future in their new location. 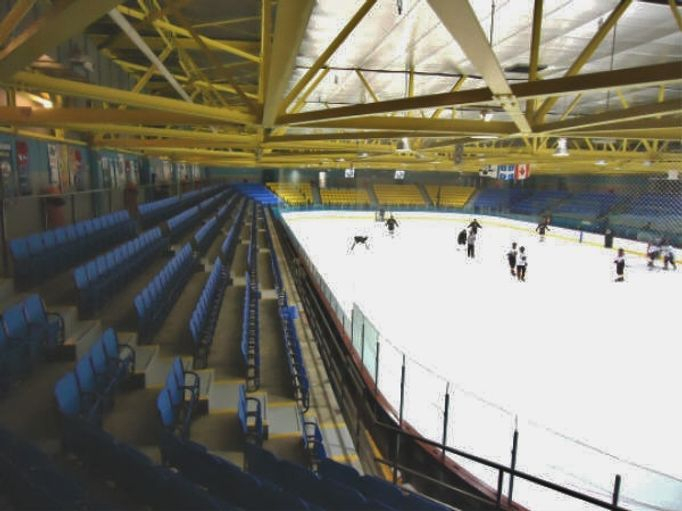 The Chambly Forts will play their first 2 home games in St. Jean, best know as home of the LNAH's St. Jean Chiefs, and also a former QMJHL Arena. This would be a great opportunity for fans looking to attend a game at this colorful arena which has a lot of history. The LHJAAAQ is one of our favorite leagues, and will actually grow by a single team to 13 clubs total. Hopefully the eastward expansion to Montmagny works out and things stabilize a bit as this league seems to add and drop a team or 2 every season. Nonetheless, the games we have seen in this league have been excellent from a fan experience standpoint. The Central Canada Hockey League is one of the most stable leagues in North America. Its small footprint also makes it ideal for fans to follow their hometown team on the road as all of the teams are within 3 hours of each other. The league will have the same 12 teams in competition as last season with a few alternate site games thrown in. Once again the league kicks off the regular season with a league-wide showcase in Ottawa. Games will be played at both rinks in the complex, Canadian Tire Arena and Mattamy Homes Arena. This early season hockey overload takes place from September 1st through 3rd. The home of the Junior B Casselman Vikings will see the Ottawa Junior Senators play a alternate site game here on October 25th. This French speaking town is crazy about their hockey, and gets great crowds for Vikings games. The Kemptville 73's will host a mini-showcase on January 15th featuring games being played on the second ice pad in the building. Although likely nothing too exciting of an arena opportunity, there will be a total of 6 regular season games for the league played between the 2 rinks in the building on this single day. Ottawa area fans are lucky to have some top notch Junior A teams all within a short drive, and the CCHL provides solid entertainment for the fans who choose to attend games. Up North the same 12 teams will take the ice as last season. The NOJHL is a great example of a league that provides quality hockey to fans in smaller towns. With many of the markets in the league little more than rural outposts fans across Northern Ontario have a solid little league to enjoy. Once again the league will host a showcase at this neutral site venue. Games will take place on October 9th and 10th, and provide a packed schedule of hockey each day. Once home of full time NOJHL teams know as the Eskimos, and later just the "Eskis" this arena hosted a handful of neutral site games last season, and now has a single game on the schedule, with the Cochrane Crunch being listed as the home team on October 3rd. The Soo Thunderbirds will play a pair of games at the home of the OHL Sault Ste, Marie Greyhounds on January 17th and 18th. The Temiskaming Shores area will host a single NOJHL games this season, with the French River Rapids playing in this town which is not far from the Quebec border. The NOJHL has another solid schedule on tap, and we continue to be amazed with the success of these teams in such small markets who endure brutal weather conditions in winter. Brantford is one of the fastest growing cities in Ontario, and they will bump up to Junior A with the relocated Milton IceHawks team now known as the Brantford 99ers in homage to Gretzky, Brantford's most famous native son. Brantford supported their GOJHL team well, and has a successful Allan Cup Hockey League team across town as well. Junior A hockey comes to the historic Brampton Memorial Arena, and the city's GOJHL Bombers move over to the old barn as well. This 1950's era building was closed down for structural repairs, but is ready to host big time hockey again. Brampton's gain is Orangeville's loss as the Orangeville Flyers are no more. Furthermore the arena's GMHL team, the Ice Crushers went by the wayside a year or so ago after some shady dealings by the team owners. For now Orangeville sports fans will have to be content that they have one of the best box lacrosse programs in Canada as there will be no junior hockey to watch here this winter. 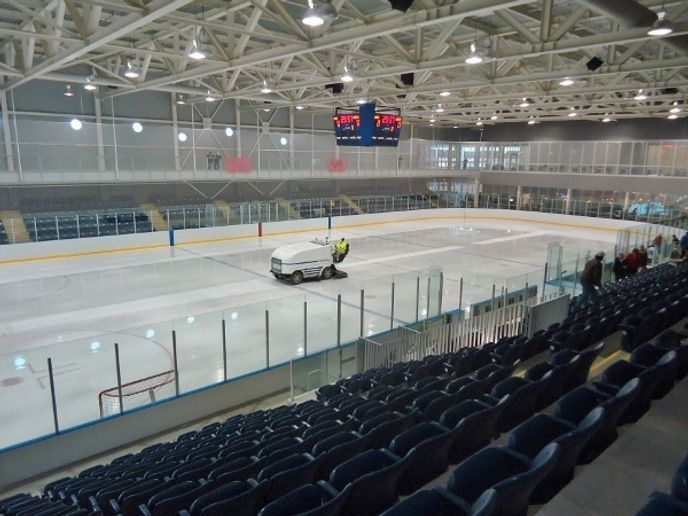 The move of the Milton IceHawks to Brantford was a well documented and much anticipated one, and hopefully Milton will end up with another team soon as it would be a good Junior B market. Once again Buffalo is chosen as the home of the league showcase, which takes place September 24th and 25th. The Junior Sabres call the main arena at HarborCenter Home, as do the Canisius College and NWHL's Buffalo Beauts teams. Rink 2 has hardly any seating, but will likely be crowded with scouts for the showcase games here. The OJHL will again have 22 teams this season, with the aforementioned shuffling taking place. Last season was the league's first playing with full cages, making the action less enjoyable for the fans, but the league is going strong and has a high level of play. In the Superior International Junior Hockey League things will stay exactly the same as they were last season. The 6 teams from Western Ontario and Minnesota will be in their same arenas as last season. A look at the schedule finds no alternate venue games, although the league showcase in late January still has a "TBA" listed for a location. This league flies under the radar a bit, but has a respectable level of play and good fan support. That's it for this report. Next time we will cover the remaining CJHL leagues as well as the NCDC in the U.S. As always, we hope you will find this information useful when planning your trips this upcoming season. Hockey season is almost here so we hope you can get to an arena soon!